Zynga (NASDAQ: ZNGA) is a video game developer company focused on social mobile gaming. With popular games like FarmVille and Zynga Poker, the American publisher managed to stand out in a crowded market. In the recent decade, the number of gamers grow in a fast pace and leading companies like Activision Blizzard (NASDAQ: ATVI) & Electronic Arts (NASDAQ: EA) are providing more creative content with better graphics. Investors turned to gaming stocks and helped to drive the market higher in the recent year. However despite the uptrend for the sector, ZNGA remained as an undervalued stock with a price below $5 with huge potential in the future. Despite last year sell-off in EA and ATVI, ZNGA remained in a sideways range and closed 2018 for only -2%. Currently at the start of of 2019, the stock is already up +14% so with earning report coming this week we’ll take a look at its technical chart. In the above chart, the stock made an impulsive 5 waves advance from 2016 low which ended June from last year at $4.57 peak. Then the stock corrected the entire cycle lower in a classical 3 waves zigzag structure before turning higher again. 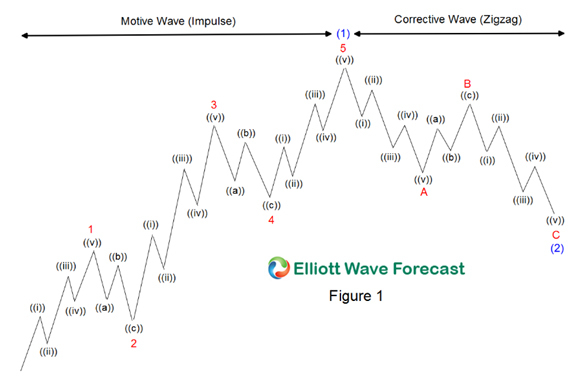 So ZNGA established a new bullish Elliott Wave trend with impulsive momentum to the upside and corrective structure to the downside. At this stage, the stock managed to break above 2018 peak which confirmed the bullish path and it’s now presenting a new incomplete bullish sequence for the stock. The measured target to the upside start at the 100% Fibonacci ext at $6.11 which could remain a minimum target with a potential move above the 161.8% fib ext at $7.84 if the stock have enough momentum to continue as regular impulse. Consequently, the previous 2 year bullish cycle ( 2016 -> 2018 ) could be only the first wave of a bigger 5 waves move to the upside so the stock still have enough room to the outside. The gaming industry outlook remains promising and Zynga is becoming one main acting hands in the market which put huge potential for its stock to rise. The technical picture for ZNGA looks bullish and it could see a strong breakout in the second quarter of 2019.